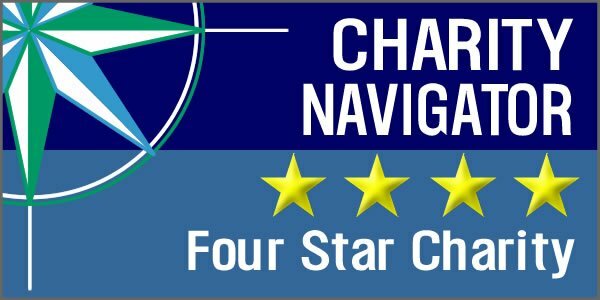 We’re halfway through our Year of the NEADS Dog series, in which we highlight the transition our Service Dogs in Training make during their first year with us, and it’s time to check back in with our Weekend Puppy Raisers. Housetraining is mostly complete, and, after several months of spending weekends with their pup, these volunteers know a lot more about the puppies’ personalities, what motivates them, and what games they like to play. Now the focus is on gradually increasing distractions and exposure while continuing to reinforce the training and obedience that takes place during the week with the inmate handlers. FOCUS ON: SURFACES. 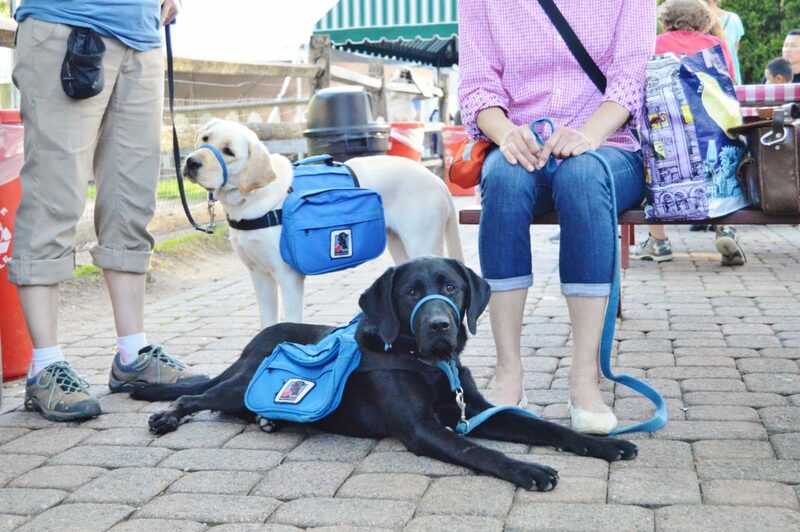 Each Service Dog in Training moves through the training at his or her own pace, but by about 6 months into the program, he is typically at Level 4 of a 14-level program. While he will have previously visited malls, hospitals, restaurants that are quiet and on the smaller side, on the schedule now are field trips to bigger malls, busier hospitals, larger pet stores, and different types of restaurants. The pups can go to banks, and visit rural downtowns and areas with moderate traffic. A goal of this level is to expose the dog to many different surfaces: grates, shiny floors, sand, gravel, grass, and open and closed stairs. Of course, safety is always a priority, and the puppy raisers make sure the pup doesn’t walk over anything sharp or get his paws caught anywhere. PROGRAM ASSISTANCE. Key to a successful experience for both pup and volunteer are the Puppy Program Assistants, NEADS staff members who are involved with instruction, guidance, and program management. They schedule and run monthly classes and field trips. They are also available to the Weekend Puppy Raisers for consultation on any issues that come up, and offer resources and tools to address these issues. The Puppy Program Assistants also provide NEADS with valuable feedback to help build the dog’s profile, so important for the client/dog matching process. 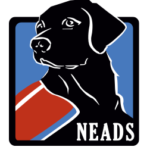 See the whole Year of the NEADS Dog series here.